The first snow. Yippee. We know some of you weirdos are excited about this, but WE (and by we, we mean Queenie) are glum. It's hard to commute from Virginia in the snow! And we're doubly bitter since our Royal Executioner just headed back to sunny California for the holidays. SIGH. Ah, well... at least we have some snark to cheer us up, right? Mmm, tax cuts. They've been served up piping hot by a (triumphant?) Obama, and Democrats are still choking on 'em. (Metaphorical brussel sprouts? Has this joke gone on long enough?) Senators overwhelmingly voted in favor of Obama's tax "compromise" package, which is now being sent to his desk. (Poor Bernie.) At least the unemployment benefits were extended for millions of Americans, right? Guys? Reid has set up the DADT Senate vote for Saturday. (Thank you, Scott Brown.) Could this lead to actual repeal?! They're also voting on the DREAM act, which we're thinking won't be a go. Gotta get in those lame duck votes before Boehner changes the game up next year. Speaking of Boehner, how many "John Boehner cries a lot" stories do we need to read in one week? Michael Steele announced that he's going for a second term to lead the RNC! We are SO SURPRISED. That's not going over to well for GOP donors, but we're hoping Washington i nsiders won't take him away from us. He's just such a street guy, yo! Sarah Palin: might be running; can't cry like John Boehner does. American people: don't want her to. Can we please be done with this now? A federal judge in Virginia (not again!) ruled that the provision in the new health care reform law which mandates Americans purchase health insurance is unconstitutional. But, y'know, Judge Henry Hudson has a stake in an anti-health care campaign firm. Nothing wrong with that! Plus, other constitutional experts aren't so sure he got the ruling right. Obama is optimistic that the law will be upheld, as other courts have either ruled the provisions constitutional or have thrown out challenges. Obama met with CEOs from 20 of the top U.S. corporations to discuss trade, energy, deficits, and taxes. How exciting! The White House is still mending relations with the business community. So pretty soon we'll be at the two month mark since the election and a certain Alaska senate candidate is still thinking he could win, despite consistently being behind in the vote tally. Joe Miller, it's REALLY, REALLY time to throw in the towel. A London magistrate granted bail to that WikiLeaks guy, you know the one, John or Julius or something. His visa has been revoked and he'll be under house arrest at some wealthy guy's mansion. Meanwhile, Hillary is still working hard to mend ties with foreign leaders, and the Wikileaks documentary we've all been waiting for is already in motion. Why is Jon Stewart the only one sticking up for 9/11 responders? After Republicans filibustered the multi-billion dollar bill that would provide medical care for workers with life-threatening health issues after responding to 9/11, Stewart sat down with actual responders to get their perspectives on it. Truly a powerful thing to watch, and good job, Jonny! 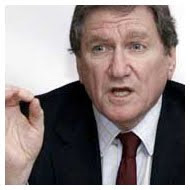 Ambassador Richard Holbrooke, U.S. Special Representative to Afghanistan and Pakistan, died this week after surgery to a torn aorta. Mr. Holbrooke began his diplomatic career during the Kennedy years as a foreign service officer. During the Clinton administration, Holbrooke had a crucial role in negotiating the Dayton Accords, which led to stability in the Balkans. Check out this beautiful obit from The New Republic. 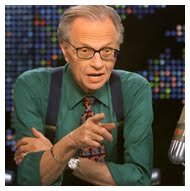 Larry King has hung up his suspenders for the last time yesterday after 25 years on CNN. Check out some of the sappy highlights and forgive us for thinking he was, uh, already gone. Blah blah blah, Brangelina might get married in India soon, blah blah. Ugh, celebrities. Ruh roh... looks like the Obamas' royal wedding invitation is, uh, not coming. We're sure they have better things to do, but you shouldn't you, y'know, let them decline? Dear Keith Olbermann's publicist: we're, like, really sorry. Top 40 celebrity candids of the year. Enjoy! Oh, and to keep this somewhat political, we're pairing this with PolitiFact's Lie of the Year: the "government takeover." And hey, 'tis this season for pretty, interactive media spreads! The Grey Lady presents: The Year in Ideas. And don't miss some of those lovely end-of-year photo spreads. 2010 was nuts, huh? 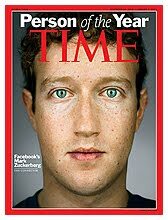 Facebook king Mark Zu ckerberg was named Time's Person of the Year. Runners up included the Tea Party and Hamid Karzai. As the Queen's Character Assassin put it on Facebook this week, maybe Julian Assange is getting a little "vicarious pleasure" out of this. Those who violate privacy together, stay together? Speaking of Assange, our Republican Informant passed on this creepy little tidbit, one of several creepy little emails Gawker found. Facebook, Facebook, Facebook. What you need to know this week: look out for Tag Suggestions, which recognizes the faces in your photos for you (maybe); if you survived the crash yesterday, you maybe have seen Facebook accidentally expose itself; and here's the story of Christmas, as told on Facebook. Anonymous strikes again -- at Glenn Beck. And, in other hacker news, somebody broke Gawker. Watch those passwords, kids! Do you use Delicious? Might be time to back up your bookmarks and seek an alternative -- Yahoo is shuttin' stuff down (maybe), sparking Internet outrage. An ABC reporter was stranded on a train on his way to Philly and live-tweeted the terror of his experience. Read it for the laughs, and then weep with us since our daily Metro trip is usually just as terrible. Nerds like Queenie will find this cool: Google has quietly created a database of words. Plug in a word or phrase and track its use over time. And then immediately forget what you're supposed to be doing at work because this is OMG SO COOL. There are Christmas events, and then there are Christmas events. To start, we've all seen "The Nutcracker" at least a million times, but we bet you've never seen it like this before. Also in the "not quite traditional Christmas" category is the Christmas Lights Art Car Parade, featuring free Flying Dog beer (always a win in Queenie's opinion), a dramatic reading of "How The Grinch Stole Christmas" and a car parade. (This could either be amazing or terrible. Don't drink and drive, you guys!) The DC RollerGirls would like to wish you "Happy Brawlidays" (cute, ladies!) with a post-match party and drink specials. You could also keep things multi-culti and hit up For All a Good Night -- a Brazilian-style Christmas party. Bring dancing shoes. Seriously. Finally, EatBar (a great restaurant if you've never been, by the way) is having an Ugly Sweater party that sounds much better than your college roommate's. The kids have a lot to do this weekend, so take advantage! First, take them for storytime at the Textile Museum, featuring tales from the Middle East. Then hit up The Brothers Grimm Spectaculathon for funny takes on fairy tales. Finally, hit up Mount Vernon for some candle-lit quality time with George and Martha. Still have hipsters to buy for? Join Queenie at Rock 'n Shop this Sunday! And we can't believe we're saying this, but go see Wu-Tang Clan at State Theater just so you can Tweet that you did. Again, this could either be amazing or terrible. Shout outs to See3 Communications! They've been working on a PBS mini-series called What's Your Calling?, which explores the diversity of peoples' lives and how they want to change the world. Check it out next Monday and Tuesday at 9 p.m. ET, host your own screenings and visit the website to connect with others who are exploring these great big questions. This is truly an inspirational project! Bernie made a splash, but (as we suspected) it faded pretty quickly. And we admit that we went to press right before Obama skedaddled out of the briefing room and Bill Clinton forgot what year it was. We were having the WEIRDEST flashbacks, weren't you? Wait... what the... it happened twice?! Stay warm and toasty, folks! We're taking a much-deserved holiday hiatus, but if you boys and girls are very nice, you might get a little present next week. If you're naughty... keep it to yourself.